*beware* I stink at poetry… why I am embarressing myself at this attempt… I cannot explain. so you might as well go… sew. Because nothing will stop me. or even St. Nick in my house. I’ll have no reason to grin… duh! but don’t tell my friend okay? I hope we BOTH win the big edit day! Discussion: What do YOU use to keep your motivated? Or… share a fun poem with us on this Friday! One you made up, of course! The winner of Sandra Bricker’s “Love Finds You in Holiday, Florida” is….. JESSICA! Congrats! E-mail me at krista @ Kristaphillips . com with your address, kay?!? Hahaaa! I'm laughing out loud right now, read it to my kiddos. I've been very, very bad. Today I'm forcing myself to write or I'm going to tell everyone I didn't and ask them to cyber slap me. Heh. LOLOL….You are so incredibly FUN!! I wish we lived near each other, because I think we could have the goofiest friendship EVER. Hhhhmmm, by Christmas you say? Let's see…I still have TONS of comp time available. AND….I get 2 weeks off from work starting the 19th. Hhhhmmmm, methinks I have a bit of an edge on you, my dear! What a fun race! The competition is totally a motivator for me too! But as I said to Sherrinda, I'm so glad that I'm DONE!!!! 🙂 Sorry, I couldn't resist rubbing it in! 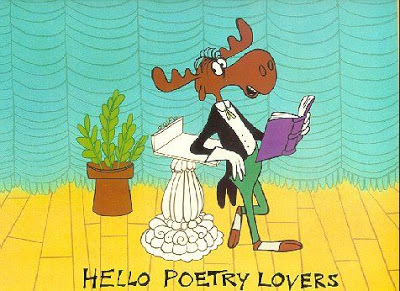 And I love your poem! You're so creative, Krista! I loved the "grin..duh!" I was wondering how you were going to rhyme with Sherrinda's name. Hilarious. I think you ought to be a poet. Don't forget – I want to host a blog party for you both once you accomplish your goals – so now you have accountability and motivation, because duh, who wants to pass up a blog party? Congrats Jessica, and Krista, loved your poem. I'm lifting prayers for both of you to finish this race and on time. Accountability partners works well for me, as well as scheduled critiques that I have to have my work ready for, usually, sometimes I'm late for those. I love the Sherrinda…grin duh. LOL! Great poem, much better than any of my measly ol' attempts. Keep up the editing!!! Usually my editors keep me "on task," shall we say, with editing. For my own ten or so self-edits before the "real" edits? Ever since college, I use a very simple rewards system. After I edit one chapter (study one chapter, write one paragraph), the Pavlov dog here gets a treat. Fresh cup of coffee. Dove dark square. E-mail to friend. Snippet of poetry. Blog visit. With my canine mentality, it works!! I'm loving this competition! And I'm cheering both of you on. Love your poem! I am very impressd with your editing race…you go! Great motivation/competition! I probably could use a little of that. Right now I just keep "pressing on toward the goal". Woohhhooo! And I think your contest is a fantastic idea to stay motivated! Happy editing to the both of you–and congrats to Jessica! Lol, what a fun race! Good luck to you both on your editing. I'm keeping myself motivated with a deadline and that's before the end of the year. At this stage in my writing I need all the motivation I can get. NaNo helped a lot, and blogging provides great accountability for me as well. Ha! I love it. Congrats to Jessica. I've been researching and relaxing. Next week, it's back to serious writing. I love giving myself deadlines and keeping a spreadsheet with my daily word count. LOL! I love seeing the way you two motivate each other. Good luck with the edits. And I was quite pride of "grin… duh" too. All I could think of was "linda" for a while and I was sure my mother-in-law would not appreciate being brought into this!!! I love competition!!! I really hope you both win too. Cuz I can't decide who I want to win! I love your race! That kind of motivation always works for me:) ANd you write better poetry than I ever could!